Welcome to JJ-365 Salutes. Over 2018, we pay tribute daily to one of “The Good Ones”. Today we are shining the light on Eric Samuels. If you have been reading along you have heard me talk many times about what a great station HTZ in St. Catharines was and continues to be. I heard the station come on the air when I was Program Director of CHAM in Hamilton and they blew me away. I checked into who was running the joint to learn that is was Eric Samuels. I searched him out at the next Canadian Music Week conference and we hit it off. I was hoping to work with him some day and that happened after I joined Gary Slaight and the Standard team. We talked lots, brainstormed lots, and hung lots when we could. He was such a treat to work alongside with. Eric was born and raised in Montreal where he had begun his intended career as a professional drummer before heading back to college to study psychology. He got sidetracked by the campus radio station, which became his main focus and interest. He attended Fanshawe College in London ON (1978-1980), in the radio broadcasting program. He started being a Program Director when he was awarded that position at 6X-FM the College’s radio station during its last year as a rock format FM station, when it garnered such a large market share that other broadcasters (there was no rock station in town) complained to CRTC. As a result, the college broadcast license was amended. Post-Fanshawe Eric spent a few years in London hosting evenings on FM96, under his friend and mentor PD Barry Smith and started performing stand-up comedy in local clubs – which continued as a side activity over the next 10+ years that had him performing in Yuk Yuk’s Comedy Clubs across the country. 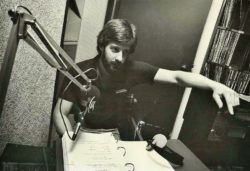 As Program Director and PM Drive host, in 1986, Eric spearheaded the launch of HTZ-FM in St. Catharines, ON, one of the greatest Canadian radio stations, He hired and worked with amazing on and off-air talent, including the late and great Scruff Connors, Patrick Zulinov, Kristy Knight, and 365’ers Darryl Henry, Karen Steele and Paul Morris (who had been MD when he was PD at Fanshawe) and Jon Gonzo Mark, and many, many, more. 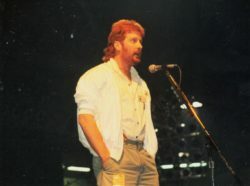 Gary then moved Eric to Z95.3 Vancouver to work with the late and great Gary Russell, where the station achieved the highest ratings in market history in the late-nineties. The station’s car sticker campaign became legendary, peaking with the giveaway campaign “A New Life For A New Millennium,” where one winner received a car (BMW), boat, house, and dog (they didn’t give away an actual dog but offered to arrange a rescue animal for the person). Another promotional highlight at Z was “The 501” where we gave away Suite #501 in The #501 (a new condo complex in downtown Vancouver) to the 501st caller. There was no qualifying, no ballots to enter…nothing but listen for when we tell you to call in. During the few weeks of pre-promo that led up to the actual giveaway (which they said could happen at any time) they broadcast live from the ‘501’ on several occasions, the highlight of which featured David Bowie as morning show guest. When the time finally came to take the 501st caller and do the giveaway, the phone system was so overloaded that over one third of the Vancouver/Lower Mainland phone service was knocked out by the sheer volume of attempted calls. Over the years, Z was staffed was a true dream-team, with some of the finest on and off-air talent the industry has ever seen, including Darren B. Lamb, Janice Ungaro, Buzz Bishop, Kerri Maxwell, Curtis Maddams Strange, 365’er John Masecar, and many, many more. It was at Z where Eric paired 365’ers Natalie Hunter with Drew Savage (Nat & Drew), who of course have long since been the market’s top morning show. Z also had one of the most amazing senior management teams, with 365’er Glen Glenn Chalmers (GSM) and GM Gary Russell who was a great friend and mentor for Eric and many of us. Also while in Vancouver, he began to explore a new side interest – Mentalism. He performed at every opportunity, including becoming a volunteer entertainer at Vancouver Children’s Hospital. When Eric first got going, he rented what was ‘The Red Robinson Theatre’ (Now the Molson Canadian Theatre at the Hard Rock Casino on the coast) and did a ‘warm up show’ for all of his friends and acquaintances. We were all blown away and came out of their knowing for sure that he was going to do well, and he did, and does. In 2000, after a particularly challenging fall, he was one day into a much-needed vacation, SCUBA diving in Mexico (with Patrick Zulinov), when he received a call that me, JJ, had left Standard Radio. Gary Slaight asked him to fly directly to Toronto (at the end of the week-long vacation) to discuss him becoming National Program Director and PD of MIX 99.9. He seems to recall not being properly dressed for that visit to Toronto in December. Aside from the National responsibilities, at MIX, in Toronto they had a stellar team full of 365’ers like GM Pat Holiday, APD Karen Steele, the production wizard John Masecar, Bruce Gilbert in Promo and MD Wayne Webster. The on-air lineup they put together for MIX was also notable with Carla Collins in mornings. They were the only major market radio station in North America with a woman at the helm and she had great support from Judy Croon, and 365’ers Griff Henderson, and Darryl Kornicky, and Steve Anthony hosted PM Drive. Freeway Frank handled evenings. Eric yearned to return to Vancouver and that wish was granted a few short years later. 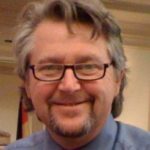 He had kept his home in White Rock anticipating a return some day, and he became SR. VP of Programming for Standard Radio, as well as PD of Z95.3 and 650 CISL. Upon his departure from the radio business, he jumped head-first into what quickly became his new passion: Mentalism. As a Mentalist, he uses psychology, suggestion, and stagecraft to anticipate and influence behaviour. But mostly it’s a lot of laughs, fast-paced, interactive fun. I’ve seen his show and it is amazing and a blast. Eric sums up: “Over the past ten-years, I’ve had the good fortunate to perform as a corporate entertainer and speaker around the globe, as well as a headlining public theatre shows – the newest of which is entitled ‘ERIC SAMUELS – LIAR!’ which will debut next January. This fellow is simply amazing. Such intelligence, presence of mind, perseverance and sheer talent. His leadership qualities have made him successful in pretty much everything he has done and does. I was very fortunate to work with him and learn from him. If you’d like to know more about Eric Samuels – The Mentalist (including video demos) please visit: www.EricSamuels.com. If you’d like to see video demos of his work, his performance website is www.EricSamuels.com. You will find him incredible. Keep it moist Eric, we’re all very proud of you! Thank you, Eric Samuels for being one of “The Good Ones”. Feel free to like and share Eric’s positive story. Who is the subject of tomorrow’s JJ-365 Salutes? As they say, stay tuned.